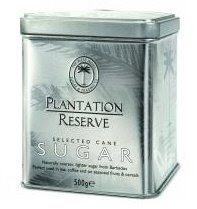 My wife returned from London recently with a tin of Plantation Reserve sugar, made in Barbados. A 500g tin cost £2.99 at Tesco. The sugar No. 11 contract (which is the benchmark for raw sugar futures trading) for May closed on Friday at US$0.1157 per pound. The Plantation Reserve product equates to US$5.43 per pound or about 47 times the market price of the raw product it is made from. Rip off? Sugar is a tricky commodity. Until the price spikes of 1974 and 1982 gave birth to alternative sweeteners that took away great chunks of the soft drink market it was a classic boom and bust commodity. Ironically, the rise of the artificials brought a semblance of price stability, made it simpler to plan the huge industry capex requirements against a multi-year crop and capped the world price at 15 to 16 cents per pound. Until, that is, 2006 when ethanol, Kyoto emissions targets, developing country demand and speculation moved prices into what appears to be a new historical phase. But hardly one a small, expensive producer can ride. This image was made near a sugar factory (now defunct) close to where I grew up – Buckley in St George, Barbados. Which is why I got the tin. In primary school factory tours were common and intended to impress on young citizens not only the unforgettably sweet smells of molasses boiling and sugar turning in the centrifuges; but also the importance of the industry which, despite the echoes of slavery, was a vital foreign exchange earner. That it was still then so important is curious. Global sugar production changed dramatically in the 1800s when the steam engine brought with it huge economies of scale. Before, being a small island and, by definition, adjacent to a port meant human, animal and wind driven sugar harvests were a winning combination. Afterwards, a single Cuban centro could produce the annual output of 100,000 tons of a Barbados (in its heyday) and get it to market with ease. Small producers from then learnt to survive on subsidies and aid. On its way to becoming part of a so thoroughly commoditized trade there have been various other lows for Bajan sugar. None lower, perhaps, than those of the mid 1990s when domestic sugar was scarce locally and rum exporters could not hit European Union (EU) quotas. And against this miserable backdrop the EU recently decided to cut its sugar price supports to the Caribbean by 36% come 2009. This in order to ‘level’ playing fields. Where the heavy subsidies to sugar beet growers in the EU fit into that notion is uncertain. Still, necessity is the mother of invention. Rather than abandon sugar Barbados opted to innovate it. It is doing so in two notable ways: the first is via an expanded production and marketing segmentation of top grade rum led by multiple international award winning blends like local favourite Mount Gay Extra Old. Sugar and its derivatives are worth 17% of the value of exports; but within that rum exports have been worth more than raw sugar shipments for nearly a decade. And the second is through the creation of a new market – ‘gourmet’ sugar. Which gets back to Plantation Reserve. It turns out that small has advantages after all. In the same way Bordeaux growers will bend your ear forever about the geology of their plots Barbados is a porous coral island with a thin, calcium-rich topsoil. This combination and the pattern of rainfall, it is suggested, leads to a raw product and then a rum that does not just fluke all those awards year after year. And neither, probably, has the new derived gourmet sugar fluked its way in the UK into 1,200 Tescos, 151 Waitroses, Selfridges, Harrods and Fortnum & Mason. Various culinary commentators judge it excellent and, considering its origins and the political background, it is also a worthy, feel-good product that is not begging favours to be bought. If Plantation Reserve is the hit its distributor list suggests, planned expansion will guarantee circa 15% of the Barbados’ sugar production. Simple, effective classic value-added investment - and perhaps the only way to maintain the beauty of the rolling cane fields so essentially to King tourism. A final, equity investment related point: the locally quoted company behind it (although in partnership with a government entity and the country’s National Trust) is Goddard’s Enterprises. Market capped at about US$200m it turned over US$387m last year; has a free operating cash yield around 7.4%; trades at a price to sales ratio of 0.52; and enjoys a classic, though in mini form, conglomerate profile. Silly boy! You're paying for the tin. Didn't you know there's a metals boom? lol - you'd think so but the refill pack (paper) is £2.50. Anyway, aren't we holding Billiton as the hedge? The basic EU plan, I believe, is to cut sugar beet production in half. To this end, they are paying current producers 275€/tonne (calculated on some Brussellian average of something, we suppose) to get into some other line of work. The sociology of this kind of marketing, BTW, is truly fascinating. Thanks Charles - are they sharing the generosity olive growers direction? Beet production is only 15% or so of the global market. I have a friend whose family is in it (Netherlands)but I don't think any of them can compete on cost with cane from Brazil, India, Thailand etc. Not sure sugar beet is good for anything value added either. The olive oil subsidy is scheduled to disappear in 2013, and be replaced with something to promote 'rural development'. Like I care. I'm still waiting for a good portion of the 2006 payment because the locals didn't really take into account the number of ways in which a cat can skinned when they devised their method of adjudication. A long and bleak tale to be shared over a couple of quarts of single cask beetroot bitters - now that IPD has printed the photo. A great rip off from one view; a great revenue spinner for Bimshire from the local perspective. A great gift for visitors, who never knew that you could get 'special' sugar, and you know how people love cachet. I head to Buckley each week to Brighton's for breakfast. Great unwind after a week's gyrations in the markets.